Recently, I've been pondering the differences between thinking and knowing. We've all heard that "knowledge is power"—and in our business, it helps to know about a variety of investment topics. More knowledge is a good thing, right? Well, maybe. But remember when you were new to this industry? Your knowledge base was limited, which forced you to explore for answers. When we don't have relevant past experience, we think more freely. We're open to new approaches because we don't know what works best. A lack of knowledge can result in smart, creative solutions. For experienced advisors, creating investment policy statements (IPSs) for their clients can be a useful way to recapture that spirit of discovery and exploration. The process of creating an IPS encourages you to approach the investment plan with a clean slate, rather than relying solely on your existing knowledge. Here, I'll take a fresh look at developing an IPS, including some simple steps to follow and the benefits for you and your clients. 1) Establish a game plan. 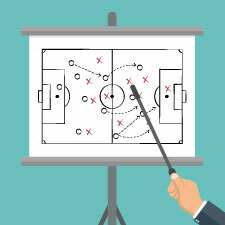 In the Investment Policy Guidebook for Trustees, Eugene Burroughs describes an IPS as the "game plan" from which all of a client's investment strategies—and implementation of those strategies—evolve. As Burroughs notes, when a policy is not reduced to writing, it may not be mutually understood, and a lack of understanding between the interested parties can lead to poor investment results. 2) Help your clients handle the "known unknowns." An IPS can help your clients deal with the uncertain nature of investing. In their article "A Leader's Framework for Decision Making," David Snowden and Mary Boone explore the concepts of "known knowns" and "known unknowns." Known knowns are facts found in simple, stable contexts, where decisions are straightforward because all parties share an understanding. Known unknowns are characteristic of complex systems (e.g., the financial markets), where interactions are nonlinear and the future is hard to predict. Using an IPS, you can address the known unknowns and outline a process that you and your client agree to follow, in good and challenging times alike. 3) Act as a communication channel. One of the most valuable (and often overlooked) benefits of using an IPS begins even before the formal document is drafted. The exercise of developing the IPS fosters a productive conversation with your client about reasonable expectations and how to appropriately manage risk. In effect, it creates a communication channel between you and your client, helping to clarify important issues and concerns. By the time the document is inked, your client should have a clear understanding of how the advisory relationship works—and you'll have a solid set of data to guide you in meeting his or her needs. It's important to recognize, however, that an IPS is ultimately the client's tool, not the advisor's. Although an IPS outlines many aspects of a client's investment strategy, the document is not a contract or legal agreement. Properly drafted, it contains no guarantees and is not legally binding. Remember, only the client signs the IPS document, not the advisor. 1) Gather information. An IPS should be based on your client's wants and needs. But it should not be created until you've gathered all relevant information pertaining to a client's financial situation. Review all of these documents, and have your client fill out an investor profile worksheet to better determine his or her risk tolerance. 2) State your purpose. Let your client know why you are creating this document and how you will use it in the future. 3) Establish reasonable expectations. Create reasonable expectations pertaining to the investment of the portfolio assets. What kinds of returns are appropriate based on the amount of risk the client is willing to take on? Which investments are suitable? Which are not? What is an appropriate asset mix? 4) Create a procedure for review and evaluation. Design a system for evaluating your client's portfolio. How often will you review the portfolio? How will you measure your performance? How often will you rebalance the portfolio? In addition, be sure to include a schedule for the ongoing review of the IPS. 5) Assign responsibility. Provide guidelines for the roles and duties of all individuals specified in the IPS. For employer-sponsored qualified plan fiduciaries, an IPS is required under ERISA. But using an IPS is fast becoming a best practice in today's private client wealth management. Without a written policy, investment decisions tend to be made on a one-off basis, which can lead to chasing short-term opportunities at the expense of long-term goals. The policy laid out in an IPS encourages you and your clients to focus on their long-term investment vision, especially during volatile market periods. And who knows? By starting from square one with an IPS, you may even make some important discoveries along the way. Do you regularly work on creating investment policy statements for your clients? Has an IPS helped your clients stay focused on long-term financial goals? Please share your thoughts with us below.